Why are so many homes in the Atlanta area getting new windows? In a word, the answer is Weather. Do you think that Seattle gets a lot of rain? They do, averaging 36 inches of rain a year. But you may be surprised to know that Atlanta gets about 50 inches. Sure, we get more sunny days; but when it rains here, it really rains. Combined with the summer humidity that we’re all so aware of, that means there tends to be a lot of moisture in the air here. That leads to mildew and rot of anything that’s made from wood. Including most windows and doors, as well as the frames that surround them. What’s worse, pine has been traditionally used for windows by north- and middle-Georgia home builders. It’s used because it’s plentiful and inexpensive, but unfortunately, it’s a softwood that’s especially vulnerable to the damp climate. It tends to absorb moisture, making windows hard to open. And it attracts the one thing that puts fear in the hearts of all homeowners: termites. Furthermore, wood expands when it’s hot and contracts when it’s cold. With Atlanta’s rapid weather and temperature swings, this causes ‘seal failure.’ Small gaps develop that compromise indoor air quality and temperature. Plus when moisture gets between the panes of double-pane windows, they can get foggy – and stay that way. That is if you’re lucky enough to have double-pane windows. Up until the 90s, nobody thought much about energy [New Windows In Atlanta] efficiency, so single-pane windows were the low-cost norm. Energy bills have risen quite a bit since then — have you noticed? Making those old windows artifacts of energy inefficiency. Local building codes in Georgia didn’t require insulated residential windows until 2004. So, that’s why new windows in Atlanta and surrounding areas are among the top home renovation projects. You may have been thinking about making that upgrade for a while. If you’re on this website, good for you for moving ahead. We look forward to hearing from you and helping you learn more about making this necessary move. 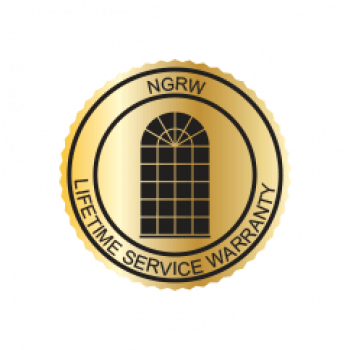 If you have questions about getting new windows in Atlanta, our experts at North Georgia Replacement Windows would be glad to answer them.